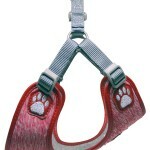 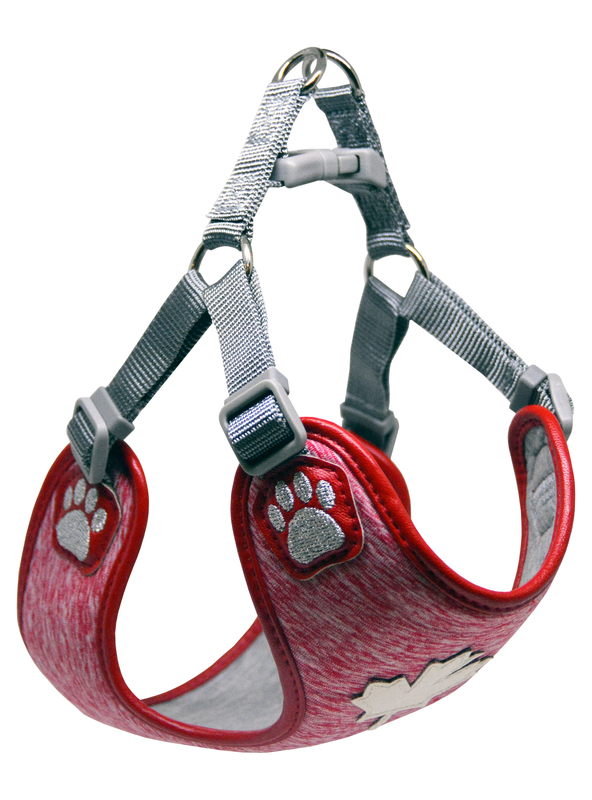 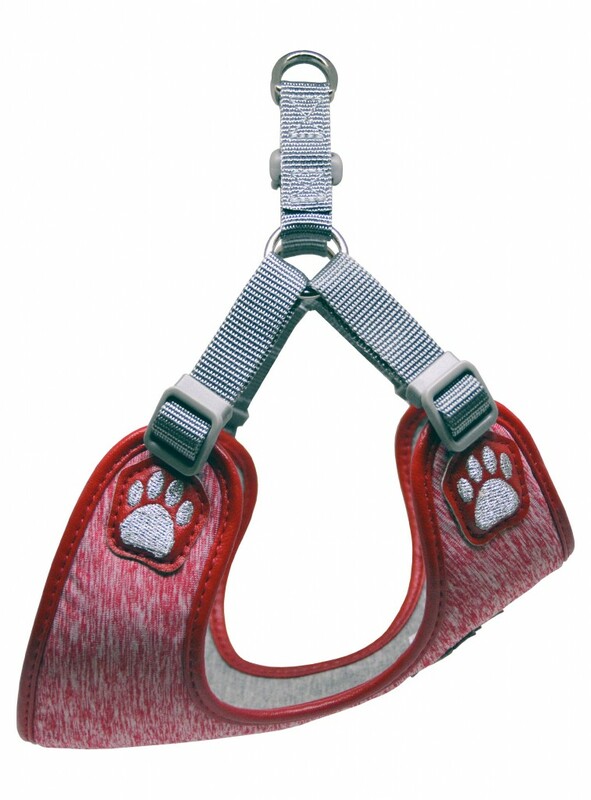 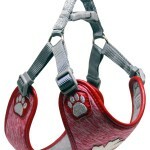 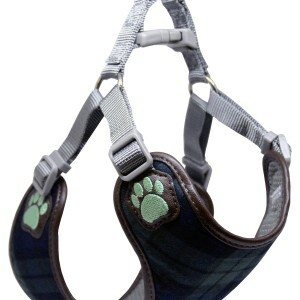 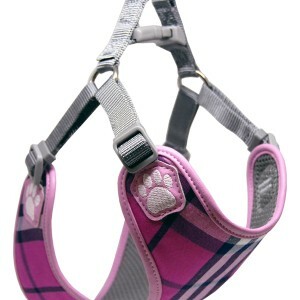 The Canada Red harness is inspired by nature of “the great outdoors” with its breathable cotton fibres in combination with the durable spandex material executing a strong design for athletic comfort. Around the 5th century, cotton was described as “wool exceeding in beauty and goodness that of sheep”, which has now become the standard in fashion due to its popularity. 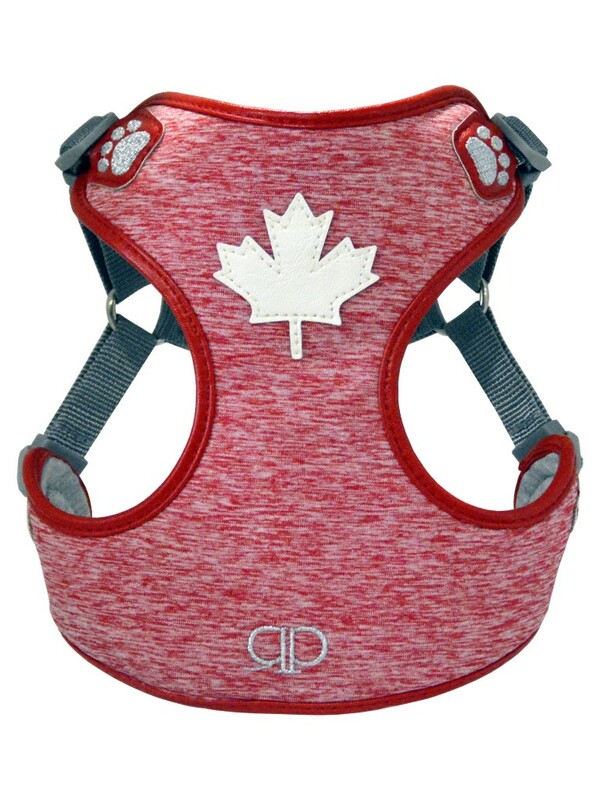 The unique linear etching of the red-grey pattern gives a sense of motion to emulate the Pacific, Atlantic and Arctic oceans, which surrounds Canada’s land while the solid red ribbing encompasses the structure as its border unifying all the provinces and territories. 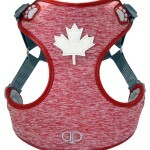 The pearlized white maple leaf as seen on the Canadian flag is centred on the front of the bodice to symbolize patriotism compliments the reflective silver embroidery stationed at all four corners of the harness paying homage to the Canadian Royal Monarchy.